* The following article is only applicable for if you wish to use templates with external hosted images on our server. If you want to self host the images yourself, please refer to this article. It is fairly easy to use eBay templates on your listing, to use our eBay templates on your listing, please follow to the following instructions. Click on the templates you like in the member area and scroll to the external code text field box below. 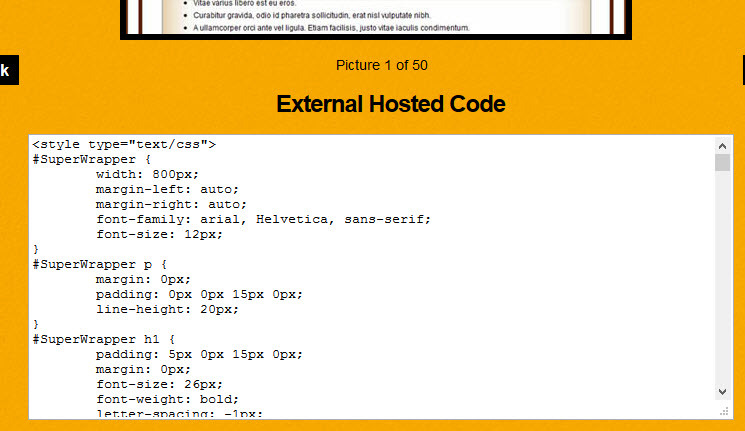 Then highlight all the code in that text field box and right click then click on copy. 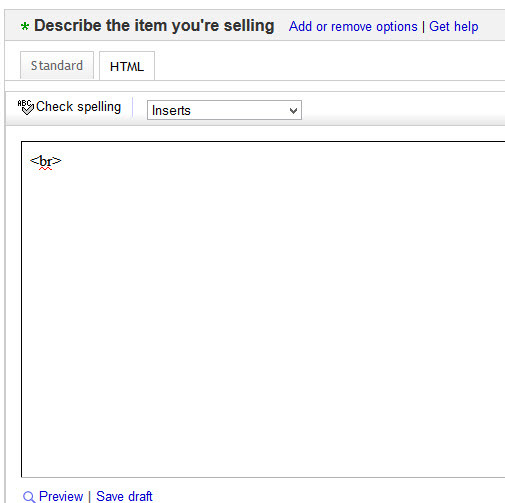 Go to your selling page on eBay then scroll down to the eBay editor. Click on the HTML tab found on the right side of the standard tab and delete all the existing codes which you may found in that area then paste the code which you copied from above into it. 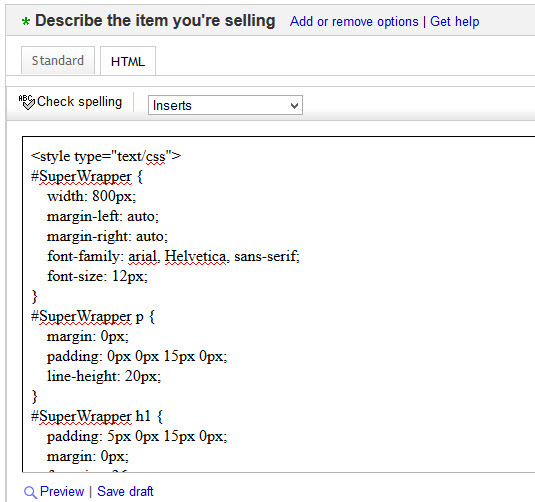 After you pasted the code to the above eBay editor, you should see the codes which you copied from our site. Below picture illustrated the code being in eBay editor after your paste the code into it. Once you pasted the code to the eBay editor, click on the standard tab and you will see the template showing in eBay editor as illustrated below.